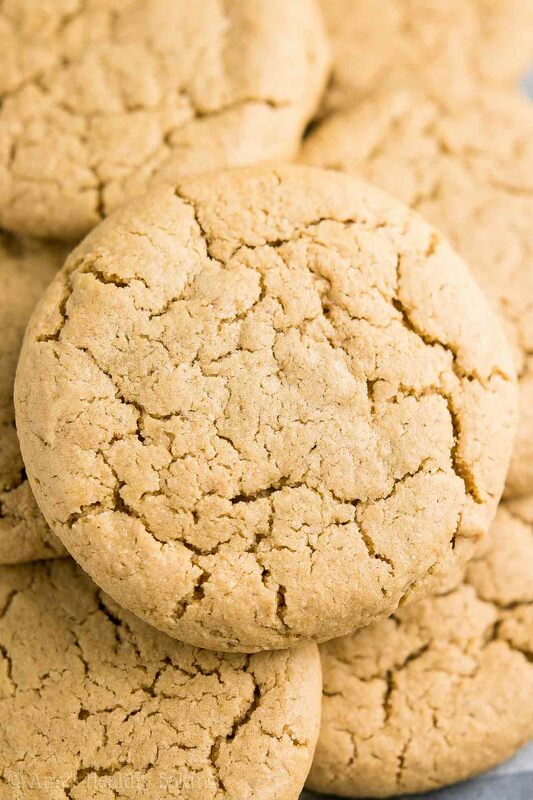 Learn how to make healthy peanut butter cookies without traditional flour! They’re soft & chewy with just 103 calories! And they contain no butter, oil, eggs, or refined sugar! At nearly every one of our Saturday high school marching band competitions, the Band Boosters Club prepared a hot meal for us in the evenings before we dressed in our uniforms to perform. They always set up multiple folding tables to create a makeshift buffet line, yet they tried to change the menu for us at each event. Burgers, spaghetti, taco salad… And at the final competition of our season in late November, they even splurged for a full Thanksgiving meal! All 250+ of us in the band and color guard would line up, waiting our turn to grab a plate and walk down the line and politely ask the chaperones serving us for the entrées and sides that looked good. At the very end of the buffet tables, right before we plunged our hand into the icy cold coolers to grab a water bottle, the chaperones sometimes set out a small dessert for us as well. They splurged for apple pie and pumpkin pie at our Thanksgiving feast, but we usually found small packets of cookies instead, like Oreos, Nutter Butters, and Grandma’s Cookies. The latter were my favorite… Sweet, soft, chewy—just the way I love my cookies! The regular chocolate chip and the chocolate brownie flavors always disappeared first, so the freshmen that had to stand at the back of the line usually ended up with the oatmeal raisin and peanut butter cookie packages. Even as a chocoholic, I still enjoyed those last two—I don’t discriminate against any soft and chewy cookies! 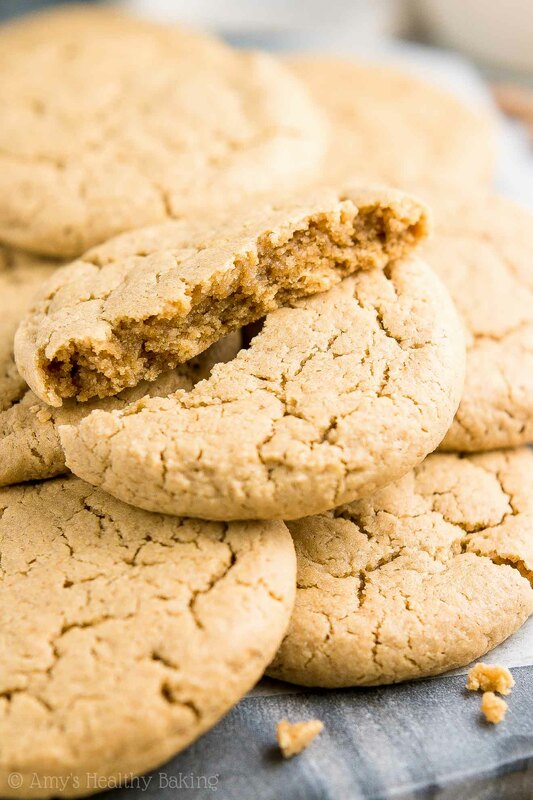 These Healthy Practically Flourless Peanut Butter Cookies remind me of those marching band competitions and the Grandma’s Cookies we enjoyed with our meals. 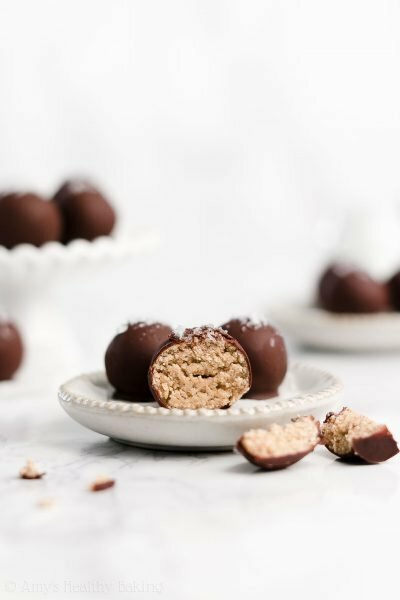 They’re just as soft and chewy—if not even more!—and absolutely bursting with peanut butter flavor. Yet unlike those packaged cookies, these contain no artificial ingredients, butter, oil, eggs, or refined sugar! And they still taste like “normal” peanut butter cookies—I promise!! Let’s go over how to make these healthy peanut butter cookies! 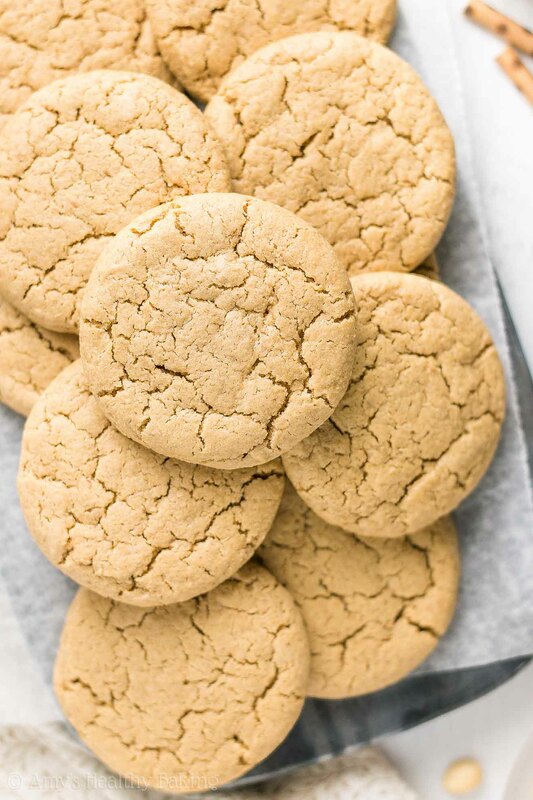 I debated for a long time whether to call these peanut butter cookies “flourless” or “practically flourless.” That’s because instead of “regular” flour, you’ll make your healthy cookies with oat flour (like this, or this for a gluten-free version! )… And oat flour is just finely ground oats! So… Flourless? Practically flourless? I’ll let you be the judge. But either way, I love oat flour and how yummy these healthy peanut butter cookies turned out! Tip: You can easily make your own oat flour at home! Just follow my tutorial here. Remember to measure your oat flour correctly, using this method or a kitchen scale. (← That’s the one I have!) Too much oat flour will make your cookies turn out cakey or dry. 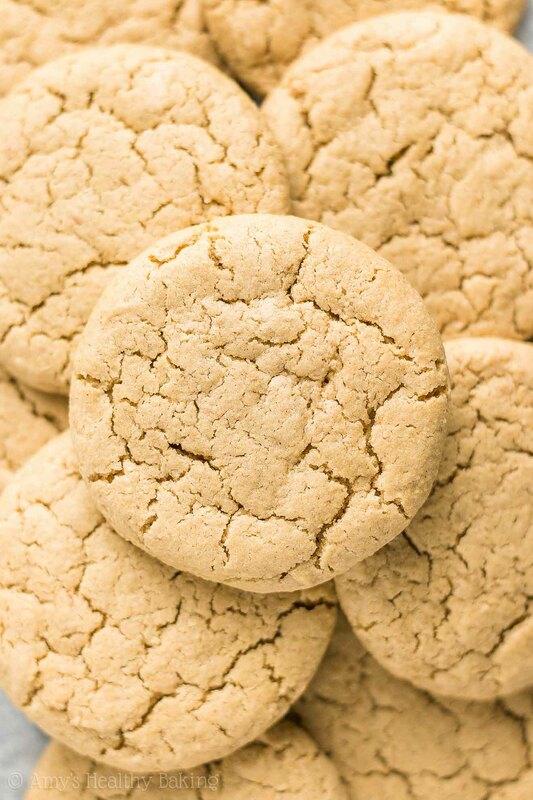 And we definitely want nice, soft, chewy peanut butter cookies! 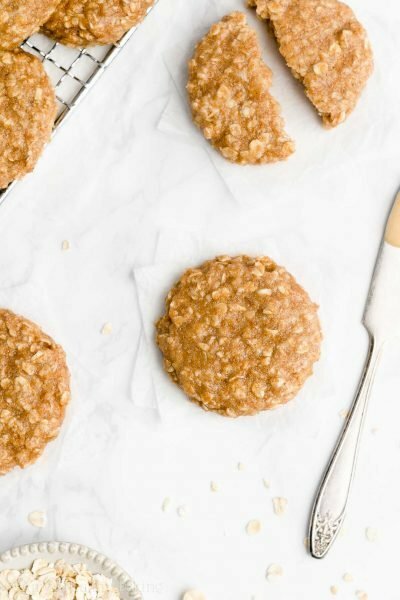 The next key ingredient in these healthy peanut butter cookies is—you guessed it!—the peanut butter. I highly recommend using my easy blender peanut butter recipe! You just need 2 ingredients + a blender to make it, and it only takes 5 minutes to prepare. Super simple! And although I may be biased, I think it tastes even better than store-bought! Tip: If you’re using store-bought peanut butter, make sure it’s (a) creamy and (b) the natural drippy-style kind where the only ingredients are peanuts and salt. Crunchy peanut butter doesn’t work in this recipe, and peanut butters with other added ingredients (like sugar and preservatives) are a bit too thick. You’ll skip the eggs and use a touch of milk to give the cookie dough enough moisture instead. 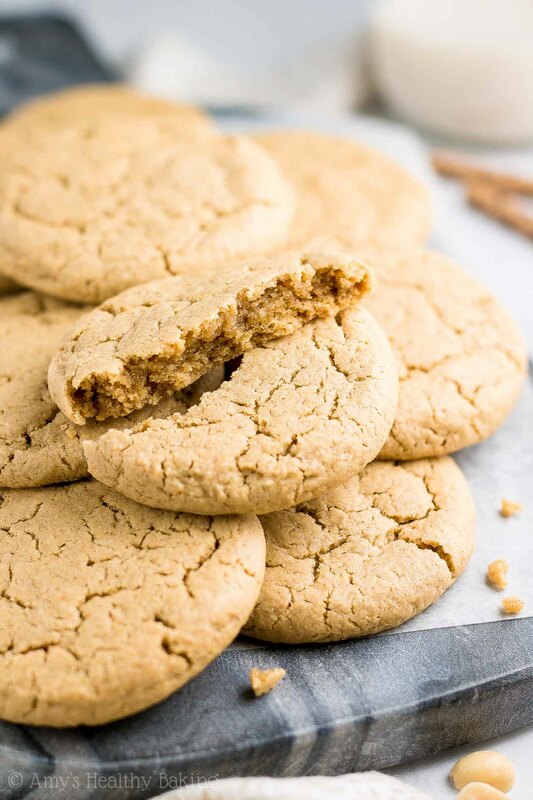 I generally use cashew milk or almond milk because I have enough family members who are lactose intolerant… So it means they get to eat these healthy flourless peanut butter cookies too! You’ll sweeten your cookies with coconut sugar (like this!) instead of refined granulated sugar. Coconut sugar is exactly what it sounds like: sweetener that comes from coconuts. However, it does not actually taste like coconuts! It has a rich caramel-like flavor similar to brown sugar, and you can generally find it right next to the regular sugar on the baking aisle. Once you’ve dropped your cookie dough onto your baking sheet, remember to flatten it a little bit with a spatula! These healthy flourless peanut butter cookies spread a little, but not very much, so flattening the cookie dough gives them a spreading “head start” before baking. I shared these practically flourless peanut butter cookies with a neighbor who’s a personal trainer (I give lots of treats to her and her family! )… And she said these were her all-time favorite thing I’ve ever baked! ?? And when you make your own, remember to snap a picture and share it on Instagram using #amyshealthybaking and tagging @amyshealthybaking IN the photo itself! (That guarantees I’ll see your picture! ?) I’d love to see your healthy peanut butter cookies! These cookies are perfect for anybody who loves peanut butter! (And that’s definitely me… I eat it straight from the jar with a spoon nearly every day!) They’re soft, chewy, and bursting with peanut butter flavor. Leftovers will keep for at least one week if stored in an airtight container. 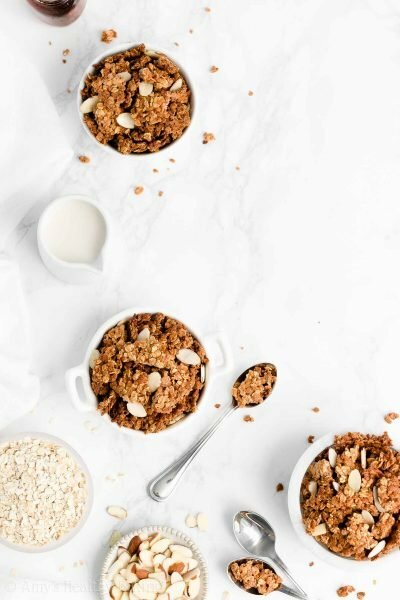 In a medium bowl, whisk together the oat flour, baking soda, and salt. In a separate bowl, stir together the peanut butter, milk, and vanilla. Stir in the coconut sugar. Add in the flour mixture, stirring just until incorporated. Chill the cookie dough for 20 minutes. Drop the cookie dough onto the prepared baking sheet using a spoon and a spatula. Slightly flatten using a spatula. (The cookies should spread some, but not a lot, if there isn’t too much oat flour in the dough!) Bake at 350°F for 10-12 minutes. Cool on the baking sheet for 10 minutes before transferring to a wire rack. Notes: You can actually make your own oat flour at home! I show you how here. It doesn’t always turn out as fine and powdery as store-bought versions (I’m obsessed with this one from Bob’s Red Mill! ), but it’s a great trick to have when you want to make these cookies and don’t feel like driving to the grocery store! It’s extremely important to measure the oat flour correctly, using this method or a kitchen scale. (← That’s the one I own and love!) 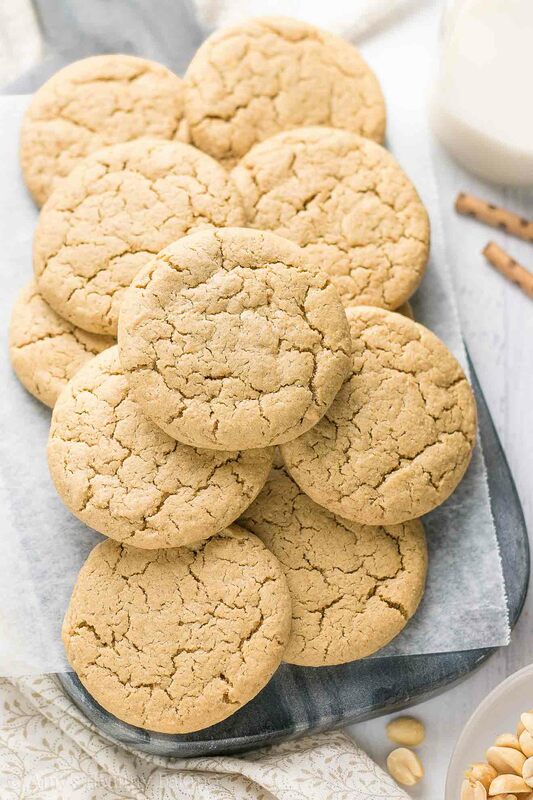 Too much oat flour will make your cookies turn out dry and crumbly, instead of soft and chewy, because oats act like sponges and soak up more moisture from your cookie dough compared to traditional flour. White whole wheat flour, whole wheat pastry flour, regular whole wheat flour, or all-purpose flour may be substituted for the oat flour. For a NON-oat-flour gluten-free option, I recommend the following: ¼ cup (30g) millet flour, ¼ cup (30g) tapioca flour, 3 tablespoons (21g) coconut flour, and ½ teaspoon xanthan gum. Many store-bought gluten-free flour blends (like this one!) will work as well, if measured like this. I haven’t tried this recipe with any other types of creamy peanut butter (i.e. Skippy, JIF, etc); they’re usually a bit too thick. Do not substitute crunchy peanut butter. Thanks so much for your kind words and pinning, Samina! 🙂 I’d love to hear what you think if you try them! Thanks so much, Albert! It seems like most people I’ve talked to who were in high school marching bands had a similar experience, too. That must’ve been the best way to feed a crowd! 😉 And I’m with you — I definitely have a soft spot for Nutter Butters! 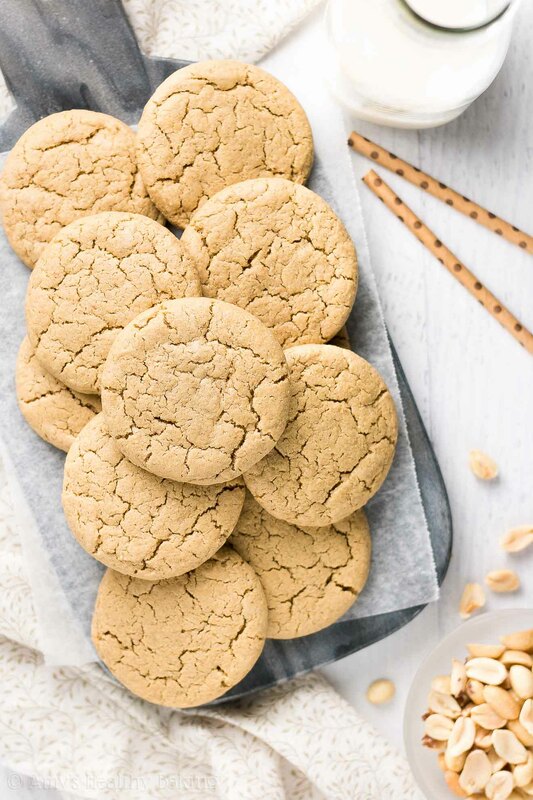 🙂 I’d love to hear what you think if you ever try these peanut butter cookies! 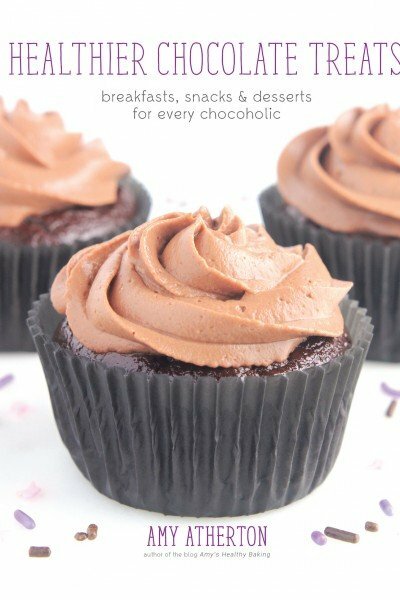 Um, these look SO perfect and the ingredient list is SO simple!!! I can eat everything in here!! Did you use a scoop to get these all the exact same size?! They are perfection! 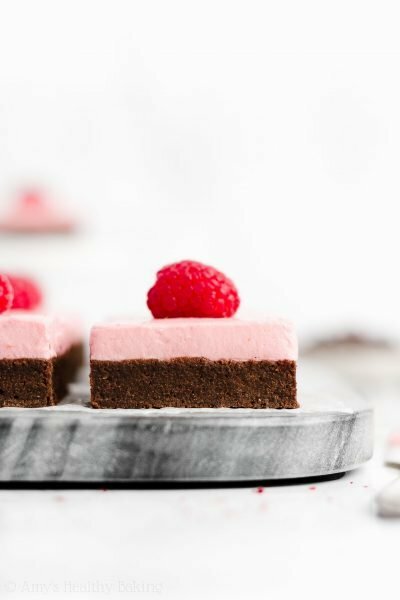 These are going on my summer baking list for sure, friend! Pinned! Thanks so much, sweet pea!! 🙂 I’m so glad everything is sweet-pea-diet friendly! 😉 No cookie scoops here… I just use a spoon and spatula! 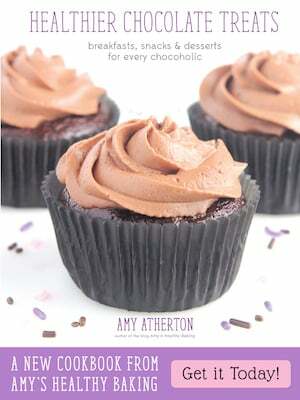 You know me and how I love the soothing, drawn-out process of baking… ? I can’t wait to hear what you think of these!! These were delicious. However I used crunchy peanut butter and added a little more milk, this time oat milk. Totally recommend ?